Michael Rua was born in Turin on June 9, 1837, the youngest of nine children. 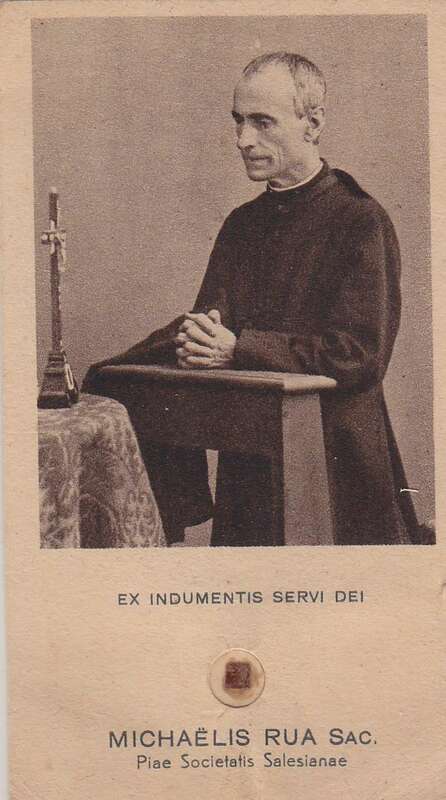 At the age of fifteen, he entered the Oratory and very soon became a close friend and confidante of Don Bosco. Rua was one of the first group to whom Don Bosco suggested the formation of the Salesian Society and for thirty-six years he shared in all the stages of the Congregation’s development. 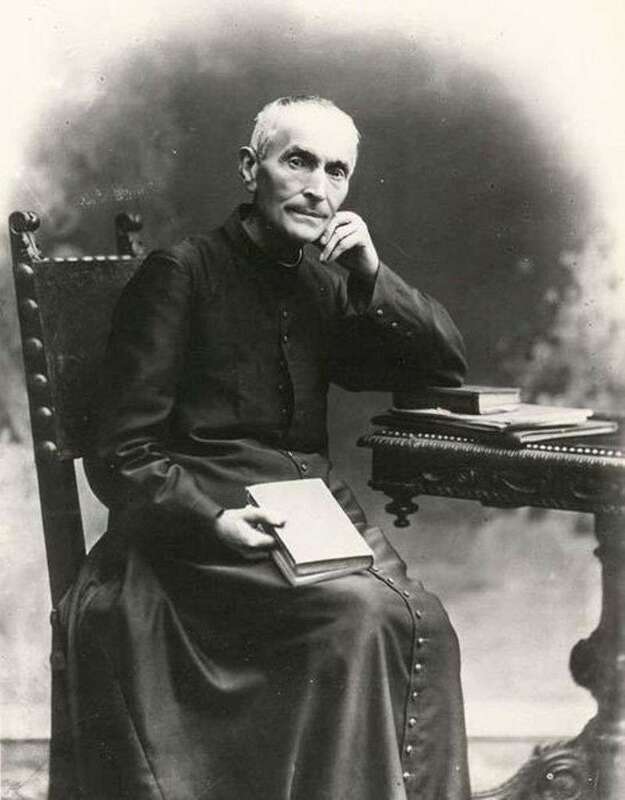 He was ordained a priest in 1860 and soon served as the director of the Mirabello College and, later, as the Vicar of Valdocco with 700 pupils. Later roles included administration, formation of candidates to their order, and personnel work. 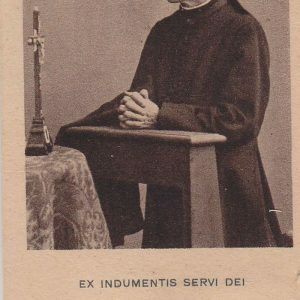 In 1875 he served as the Director General of the Salesian Sisters and accompanied Don Bosco on his journeys. 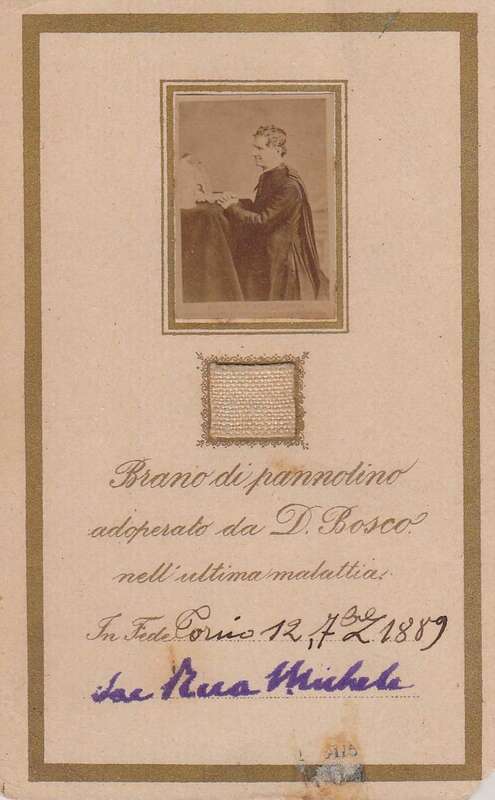 Pope Leo XIII named him to succeed Don Bosco and in 1888 confirmed him as Rector Major of the order. Due to his austere fidelity, fatherly spirit, and great thoughtfulness, he was known not only as *a king of kindness but the living Rule. Under his leadership extraordinary growth ensued within the Salesian order all over the world. He embarked on long journeys in Europe and the Middle East, consoling and encouraging members of the order. Don Bosco once told him, We will go halves in everything, and in these travels he referred always to the leadership of their Founder. When he died on April 6, 1910 at seventy-three, the Society had grown from 773 Salesians to 4000. There were 345 houses in thirty-three countries. Pope Paul VI beatified Michael Rua, saying, The Salesian Family owes its origin to Don Bosco, to Father Rua its continuation. He developed the Saint’s example into a school, his Rule into a spirit, his holiness into a model. He turned the spring into a river. His remains are venerated in the crypt of the Basilica of Mary Our Help. Michael Rua was beatified on October 29th, 1972 by Pope Paul VI. It is on this date his memorial is kept liturgically. The first card is Blessed Michael Rua and a second class relic is attached to the card. The second is an autograph of Blessed Michael Rua on a relic card of St. John Bosco. Blessed Michael Rua was an Italian Catholic activist and a friend of St. John Bosco. They co-founded the Salesian order with a mission to care for the poor children of the Industrial Revolution. He was known for his fatherliness and kindness. 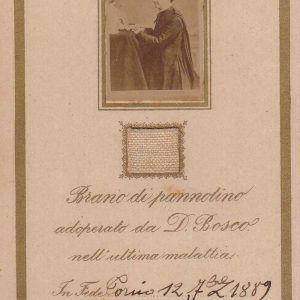 The relic card is of St. John Bosco from 1889. It contains a little piece of cloth. There is a little testament underneath the relic as well. At the time, John Bosco wasn’t even close to being canonized. He had only died in 1888. Pope Pius XI canonized him in 1934.